The latest figures out of China suggest that the country ceased buying gold for its reserves in May. An announcement from the country’s central bank indicated its total reserve figure was an unchanged 58.14 million ounces (1,808 tonnes) at the end of last month. Whether this represents an end to buying for its central bank holdings, or a temporary hiatus in its reports is unknown, but it appeared to have had an immediate effect on the global gold price, although not that significant a one so far, which fell around $7 in late Asian and early European trading today on the announcement. Since then though, other factors have taken gold and silver up a fair amount so the markets are obviously not letting the China buying, or lack of it, have too much impact, but if future months also see a hiatus in Chinese buying that could change. In March and April China had reduced its gold purchases to around 9 tonnes in each month, so the amount is relatively small in relation to total gold demand, but as a possible indicator of an ongoing halt in China and thus a corresponding fall in the likely total of central bank buying this year, it may be taken as an important factor. Some commentators have suggested that the rise in the gold price so far this year has been at least a partial cause for the apparent fall in the purchases which have been announced monthly since July last year. Prior to that China had only been disclosing its gold reserve increases on a five or six yearly basis leading to speculation that it was hiding its true reserve increases from the world, and that even now its reserves might well be considerably higher than the amounts reported to the IMF through holding an important chunk of its gold in non-reported government accounts. Many observers suggest that the country’s total reserve figure may really be two or three times the officially declared amount. 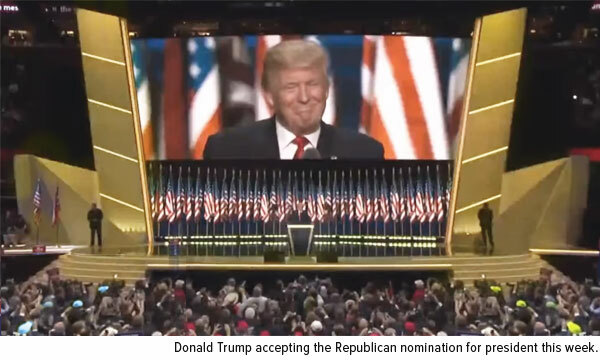 Others put an even higher figure suggesting the country’s total may be nearing or exceeding the 8,133.5 tonnes of the reported official holdings of the USA – the world’s largest holder of gold. China has been seen as building its gold reserves in part as diversification of its holdings away from the U.S. dollar, but also because it is believed that the country’s government is convinced that gold will play an ever bigger role in any realignment of the perceived economic status of nations in the years ahead. We have also suggested that the Chinese central bank may see the huge holdings of gold by the state-owned and controlled commercial banks as being technically part of its gold reserve which would put the total under its control at perhaps 4,500 tonnes or more – See: China’s Govt controlled gold reserves already 4,500 tonnes plus . This would put the total well on the way to that of the USA, and ahead of Germany – which currently has the world’s second largest gold reserve at 3,381 tonnes according to the IMF. Will this week see clear direction for gold and silver? The New York gold price closed Monday at $1,089.10 the same as Friday. In Asia on Monday, it was held at the same level as it was in London until it was set by the LBMA at $1,087.00 down from $1,090.45 with the dollar index higher at 99.21 up from 99.03 on Monday. The euro was down at $1.0867 from $1.0891 against the dollar. The gold price in the euro was set at €1,000.28 down from €1,001.24. Ahead of New York’s opening, the gold price was trading at $1,087.45 and in the euro at €1,000.69. The silver price in New York closed at $14.00 up 10 cents at Monday’s close. Ahead of New York’s opening on Monday, the silver price stood at $14.03. The gold price has held at the same level this week barely moving either way. This behavior normally precedes a strong move either way. At the same time currency markets have also quietened down. The oil price has held at the $28 level despite fears that it would plunge to $25. We are seeing a broad acceptance that in 2016 currencies will be volatile, particularly those in the emerging world. Again, we repeat this is not tied to economic performance but to solely financial/ currency/ debt factors. It is the slowing of global growth that is making the monetary world more vulnerable. Many feel that the 6.9% GDP growth in China is better than expected and also feel that China’s demand will help the rest of the world avoid further value collapses. We note that China is developing its economy to be able to do what the rest of the world does, as well and cheaper. So to the contrary, over time, the development of China will cost the developed world dearly, as it outperforms the developed world. The IMF has cut its global growth target from 3.6% to 3.4% pointing to recession in Brazil, falling oil prices and a too strong dollar. Last year the global economy is estimated to have grown 3.1% the worst performance since 2009. U.S. growth will fall to 2.6% down from 2.8% in the I.M.F.’s last estimate. Monday saw no purchases or sales from either the SPDR gold ETF or the Gold Trust. The holdings of the SPDR gold ETF are now at 657.924 tonnes and at 161.46 tonnes in the Gold Trust. This is consistent with an immobile gold price. The gold market is waiting for the delicate balance of gold demand and supply on COMEX [not the rest of the world which remains unconnected with the U.S. gold market] to be disturbed. The silver price has decided that gold is about to rise and jumped from below $14 to its current level. Hopefully this week will see a clear direction given for silver and for gold. A computer glitch had recorded the % of reserves for all countries at 18.8%. This has now been corrected. The World Gold Council (WGC) has today announced its regular statistical update on gold reserves in the official sector. This monthly release includes (1) World Official Gold Holdings ranking gold holdings by country, (2) a spreadsheet with the latest changes in official sector gold holdings. As noted these are not completely up to date – except for the Chinese reserve figure where we have added in the 19.8 tonne change in our table. We are also only showing the Top 20 national plus IMF holdings in our table below – a full table for all countries as reported to the IMF is available on the WGC website (www.gold.org/statistics ). What analysts primarily look out for are for any month by month changes in the official holdings figures. As can be seen below the only significant regular additions to gold reserves in the second half of the year are By Russia (95.6 tonnes in the four months to end October), China (83.9 tonnes in the five months to end November) and Kazakhstan (11.7 tonnes in the 4 months to end-October). 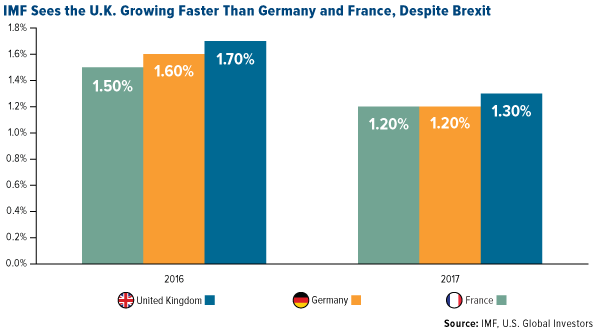 Our assumption is that going forward we would expect these countries, which seem intent on building their gold reserves, will continue to buy at a similar pace. For the record. According to the IMF figures Kazakhstan is 23rd on the list of national gold holders with 216.3 tonnes which accounts for 27.8% of its total official reserves. The IMF figures should be taken as a guide as they relate to holdings as reported by the various countries and do not take account of gold holdings which may be temporarily reduced due to gold swaps and leasing (as the countries do not need to report these figures under the IMF guidance), or countries which may be under-reporting their gold holdings as many believe China to be. *As in Table 1, IFS data are two months in arrears, so holdings are as of October 2015 for most countries, September 2015 or earlier for late reporters. We have added in China’s latest Reserve upgrade for November. 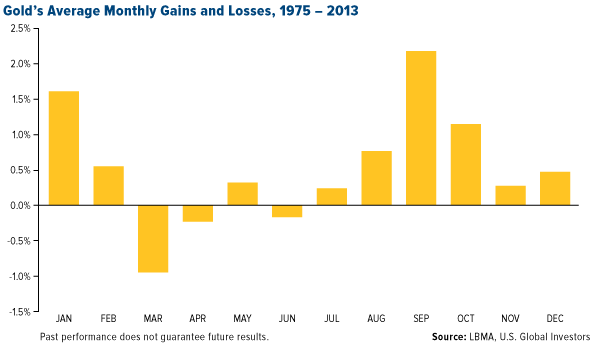 Doom and gloom for gold overdone? – Are there positives ahead? Seldom has the media been more bearish on gold’s prospects, and this will undoubtedly present itself in a further retreat from gold derivatives and gold stocks. China seems to be being fingered for the latest gold price crash, but should it be? A truly Machiavellian argument might be that the crash was perpetrated by those elements seen as anti-gold seeking to gain maximum advantage at a time when gold was already under pressure. And by undertaking some of the activity on the Shanghai markets seeking either to try and apportion the blame to Chinese hedge funds, but also to dampen the appetites of the gold purchasing Chinese people and institutions who may be seen as standing in the way of a major manipulated gold price downturn. Indeed the initial COMEX futures sales, conducted at around 11.29 pm on Sunday night when activity on the exchanges would be at around their lowest, was so great that it forced two 20 second automatic trading halts because of the volumes – virtually unprecedented. The chart below from Reuters shows the activity as noted by Bron Suchecki of the Perth Mint in his analysis of what took place. The red circled initial drop was over a period of precisely 4 seconds! If anyone tells you the gold price can’t be manipulated here is an almost perfect counter argument. The two green stars are when the automatic trading halts took place. The recent Chinese announcement of a far lower than expected increase in its gold reserves after a six year denial of any increase (although few believe the Chinese figure), coupled with a U.S. Fed interest raising start date now expected to be in September had already weakened the gold price and with what seems to have been a concerted anti-gold media campaign in most Western mainstream media, seldom will gold investors been on the end of a more gloomy array of prognostications. Yet, when sentiment is as low as it is at present this often represents the turning point. Readers of my articles on Mineweb may recall one of May last year entitled Gold to fall to $1,100 then skyrocket – silver, platinum in behind. In it we discusses a prediction by Elliott Wave analyst, Peter Goodburn on a scenario as suggested in the title of the article – and indeed gold has now, as he then suggested, fallen to the $1100 mark, although perhaps a year behind the timing his initial premise may have suggested – but these things are always difficult to time accurately. Now we shall see if gold does indeed recover from this level, and if it does, on the Goodburn projections the reversal in fortunes could be both rapid and very large indeed. We shall see. Personally I’m not a great believer in such chart analysis but have to recognise that the chartists are often, but not always, right in their predictions. Goodburn’s company, WaveTrack International has thus put out a note today reminding clients of the prediction in a note entitled Gold Bullion – Time to be a Contrarian . We will have to wait and see if this is indeed a good predictor of the gold price, but if it is we shouldn’t have long to wait. Another possibly bullish point for gold is the IMF’s pending announcement – probably in October – of any revision in the make up of its Special Drawing Rights (SDR), which is broadly regarded as an indicator of global reserve currencies. If, as many expect, the Chinese yuan is to be included, it would have to be at least close to pari passu with the US dollar which could, over time, lead to a major reduction in the dollar’s current role as the world’s principal reserve currency and be a major game-changer in the dollar’s global influence. And with China, and the countries seen as already in its zone of influence (like India, Russia, Brazil and South Africa) seen as pro-gold nations this could well herald a significant change in sentiment for the yellow metal. So could gold have reached its low point with the only way now upwards? Its not beyond the bounds of possibility. The recent move to drive the price down noted above has been so blatant that maybe some kind of counter reaction will be set in place. Perhaps by China which has already demonstrated its capability of halting a stock market collapse in its tracks in the interests of stabilising its economy. With so many of its citizens holding gold could it be prepared to do the same here, particularly if it feels the blame for the latest price collapse has unfairly been attributed to its financial elements? New York closed yesterday at $1,145.10 down $4.20 with Asia and London holding it there in line with the moves in the dollar against the euro. The dollar was stronger at $1.089 up from $1.0934 against the euro with the dollar Index at 97.54 up from 97.27. The LBMA gold price was set this morning at $1,143.00 down $2.10 again, in reaction to the rising dollar. The euro equivalent was €1,049.39 down €1.69. Ahead of New York’s opening, gold was trading in London at $1,144.30 and in the euro at €1,050.54. The silver price fell to $15.01 down 10 cents in New York. Ahead of New York’s opening it was trading at $15.00, again. The gold market continues to see thin trade but yesterday saw the emergence of buyers from Asia as prices in the Rupee in particular began to hit recent lows. But the gold price was shifted in line with the moves in the dollar. In the euro it remained above €1,050. Short positions are still at extremely high levels on COMEX. We are sorry to say that our expectation that the fat lady had at last sung in the Greek tragedy is now far from correct. The IMF had stated emphatically that the deal is unworkable. The IMF cannot lend to an insolvent state. Germany has stated emphatically that Greece cannot have a ‘debt haircut’ under the rules of the E.U. nor can it have a ‘back door haircut’ by extending the debt out for a generation and with mini-interest rates. The ECB has given funds to rescue Greece for a short while and stated emphatically that Greece’s place in the Eurozone was ‘never in question’ and that ‘debt relief is ‘uncontroversial’. This horse won’t run! 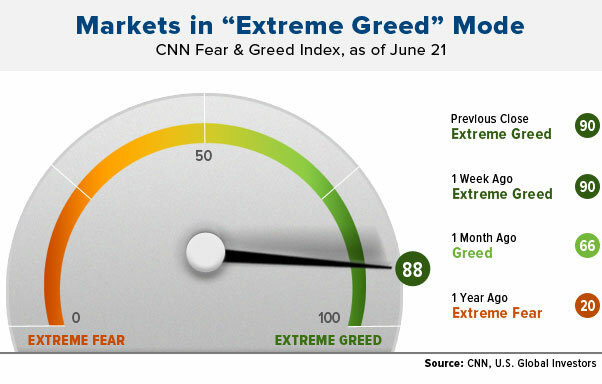 The next month should see a lot of fur flying and a Grexit is not off the table. This raises questions about the euro exchange rate, which is dominating the gold price unreasonably so. The divisions in the Troika are very deep and may take some heavy backing down for them to be resolved. For sure the deal agreed earlier this week is not a done deal. Let’s see what Germany says today. All the world’s eyes are turning back to Greece for the next month if not years. So the gold sold into the market in the belief that the issue was resolved may well find its way back into investor’s hands? We are in important territory for gold from a Technical point of view! As of the end of June 2015, China’s official gold reserves were 53.32 million ounces (1,658.48 tonnes), the People’s Bank of China announced today. This is an increase of only 604 tonnes since the last time the central bank updated its figures in 2009. There were sales of 1.772 tonnes from the SPDR gold ETF and purchases of 0.36 tonnes into the Gold Trust leaving the holdings of the SPDR gold ETF at 707.878 tonnes and 167.76 tonnes in the Gold Trust. New York closed yesterday at $1,155.20 down $2.70 with Asia and London holding it there. The dollar was weaker at $1.1011 down from $1.0992 against the euro with the dollar Index at 96.66 down from 96.94 before London opened. The LBMA gold price was set this morning at $1,154.75 up $1.55. The euro equivalent was €1,047.53 up €2.02. Ahead of New York’s opening, gold was trading in London at $1,155.00 and in the euro at €1,047.90. The silver price fell to $15.38 down 12 cents in New York. Ahead of New York’s opening it was trading at $15.33. The gold market is seeing thin trade with few buyers or sellers, allowing the gold price to be nudged around by currency moves. Since the 8th July the holdings of the SPDR gold ETF have moved from 709.65 tonnes and at 167.40 tonnes in the Gold Trust to 709.071 and to 167.76 tonnes in the Gold Trust. 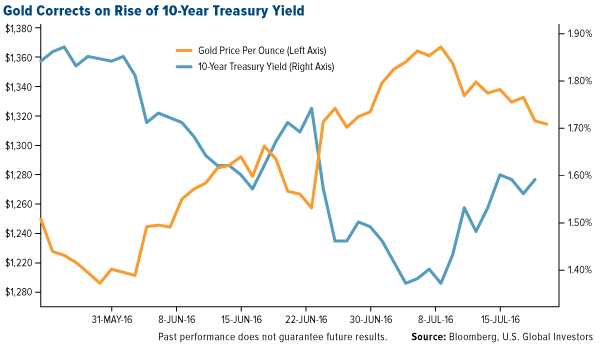 This continues to show that the U.S. investor is not interested in gold at present. All the action in gold is occurring below the surface of the price and in Asia, primarily China. The news that China is doing better than expected, achieving over 10% growth on their retail side and 8.4% on the services side, points to a fast growth rate in their middle classes. It is this group that will add to the current record levels of buying of gold into China. These numbers directly impact gold demand. While the Greece tragedy, we feel, is no longer impacting the euro exchange rate, the report from the IMF that Greek debt is unsustainable with it reaching 200% of GDP within 2 years really does make a real tragedy of the current deal, which sad to say the Greek Parliament looks like accepting. While it may be politically acceptable to give a “grace period” [postponing repayments and interest?] for 30 to 40 years, according to the IMF, all this does is to emasculate Greek sovereignty and allow the creditors that time to write-off the debt. The country is bankrupt and this deal makes sure it stays that way for more than the next generation. Keeping such a weak link in the E.U. does achieve the objective that it will keep the euro weak for the foreseeable future and maybe longer. Overall this will be positive for the gold price in euros. The entire exercise has weakened the credibility of the Eurozone. For weak nations to use the euro, which reflects far greater strength than their economies deserve, is a fundamental mistake for them. Silver will likely recover faster than gold now.